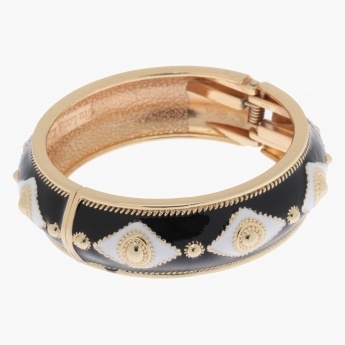 Add a touch of sophistication to your wardrobe with this versatile bangle. It features wide curved band, hinge and clasp mechanism that makes it easy to wear. The monochrome patterns and gold-toned accents gives it a classic look.